See from five revelation-packed sermons how Faith—not sight—is the tool to actualizing anything and overcoming every challenge you face as a Christian! 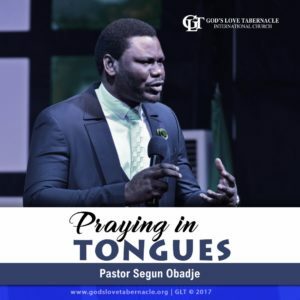 In this invaluable resource by Pastor Segun Obadje, learn why Jesus is not just another teacher or example to follow, but your loving and gracious Savior. Be blessed to know that He is with you in every challenge, every step of the way, to help you succeed! Faith is important for the expression of who we are in Christ. We are established in faith and by faith. 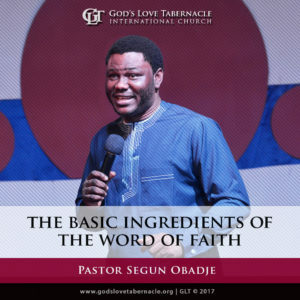 Discover also from the Overcoming Faith Series by Pastor Segun Obadje, how to work faith and draw from the lessons from different examples in the Word—selfless, tireless, always waiting for you to draw for your fullness. As you see the Lord’s beauty and majesty in the Scriptures and lean in to His love for you, you’ll experience His wisdom and peace in your situation and receive your breakthrough! 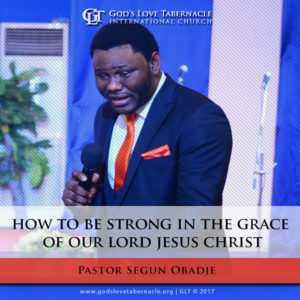 How To Be Strong In The Grace Of Our Lord Jesus Christ. Overcoming Faith: Beloved, do you know that the faith which got you saved is the same faith that overcomes the world? As a believer, you must know that Faith is your nature because it is unique to every child of God. You posses the capacity, the spiritual sensor to perceive and respond to God’s word. Therefore, your consciousness is awakened to God’s word on a daily basis to operate in the realm of all possibilities. With desire in your heart, Listen to Pastor Segun Obadje as he teaches on the overcoming faith. Stir up your faith today and begin to command tremendous results. Overcoming Faith 2: Faith is the perception of the born-again man in Christ Jesus. Faith is responding to the Word of God. Everyone in Christ has the capacity of Faith. Therefore, we do not have the faith-problem because we are of Faith. In Faith, we don’t deal with sensory evidences; we deal with the Word! Our spirit responds to the Word that we know. Do you desire to know how to operate and overcome by Faith? Then, listen to this message and your life will be transformed. Overcoming Faith 3: The faith that got you saved as a believer is that faith which overcomes the world. This delivered you from the law of sin and death, and translated you into the law of the spirit of life in Christ Jesus. Beloved, Faith is a Spiritual law that works to produce results; this same faith sets everything right because you see yourself in the light of who you are in Christ Jesus. However, there are certain procedures to take to release this law of Faith. 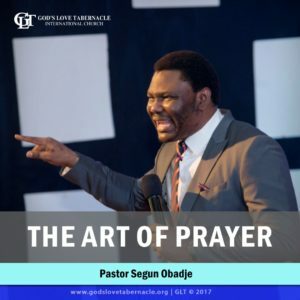 Find out from this teaching by Pastor Segun Obadje how to release and give expression to the law of faith to produce indubitable results. 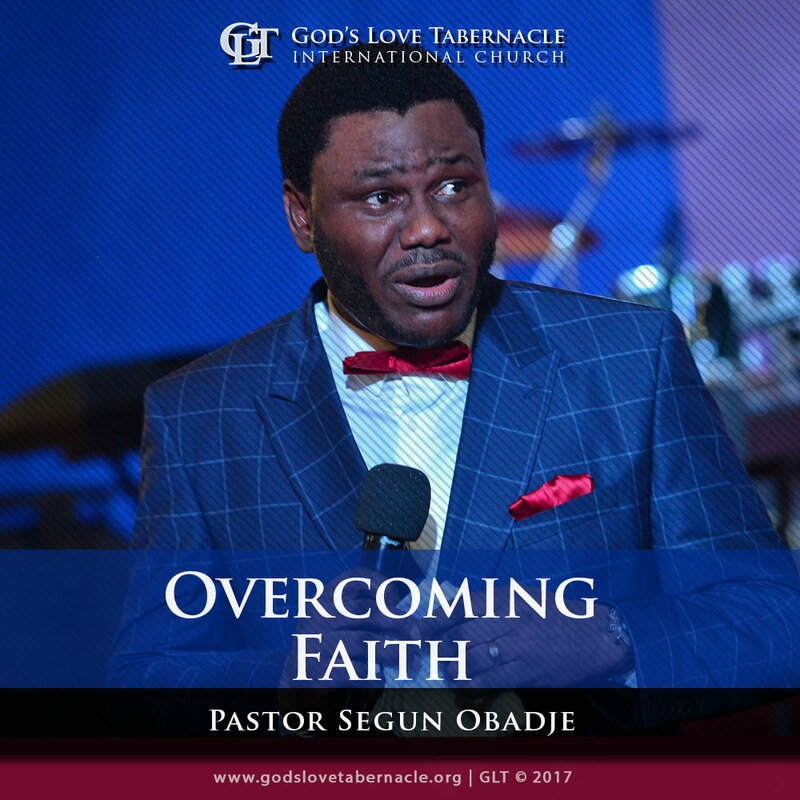 Overcoming Faith 4: The faith that got you saved as a believer is that faith which overcomes the world. However, there are certain procedures to take to release this law of Faith. 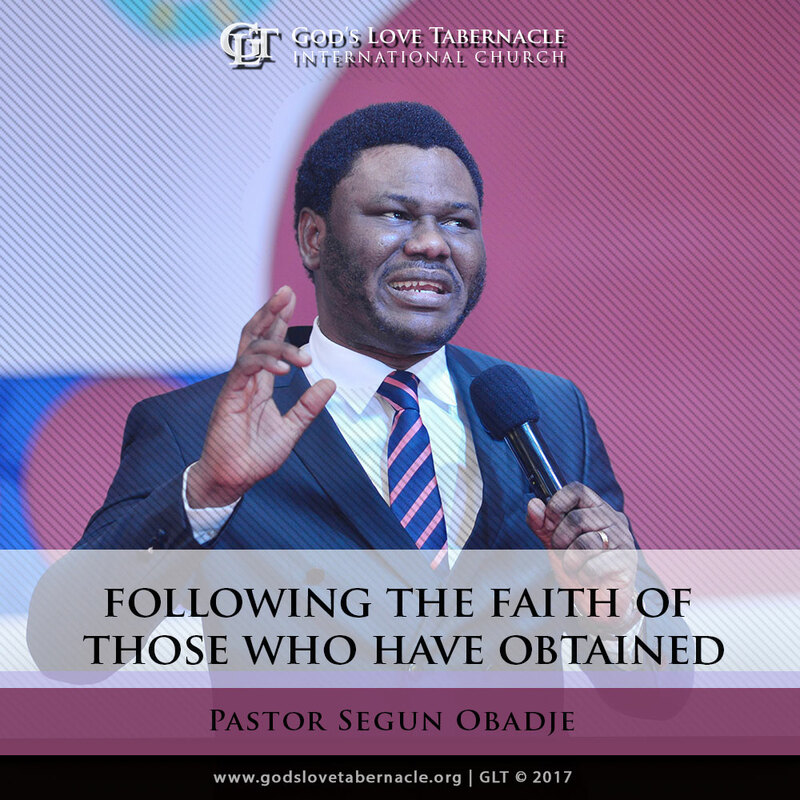 Click the Add to Cart Button to Join Pastor Segun Obadje (Ph.D) as he straighten out the Overcoming Faith Series. Examples of Faith: The easiest and most effective way to teach is by examples. The word of God give graphic reflections of faith and in the expression of our faith there is uniqueness. Religion separates action from the conviction of faith but true Christianity is action borne out of conviction. In bible faith, our action leads to reward and brings about diligence in the things of God, and this is the life we have been called to: a life of faith. 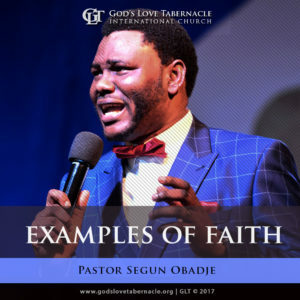 In message, Pastor Segun Obadje expounds the various examples of faith. Be blessed as you walk in the light of these examples. 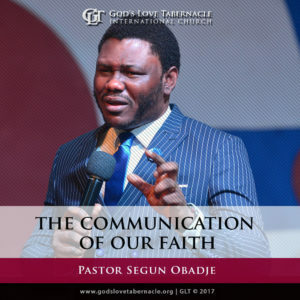 The Communication of Our Faith: In today’s message, you’ll learn how faith is important for the expression of who we are in Christ. We are established in faith and by faith. In today’s message, you must see your faith. Be blessed as you listen. The Basic Ingredients of The Word of Faith: The word of God is the word of faith and every word God releases is within your reach. It is yours for the taking. Confess the word and have a concrete conviction in your heart. Act upon the word and believe it is done. Watch and see how to build your faith in the word. Faith For Raising Children: Are an active or a potential Parent? Do you know there’s a Godly way to raise children? Do you also know there is a thing called Faith for raising children? Children should never be raised out of fear or doubt because you are simply a caretaker. God Himself fends and takes care of His children; He sent them to this world through you. Therefore, He’s more than enough to fend for their needs and He always takes responsibility for His own children. Learn and be equipped through this teaching by Pastor Segun Obadje on how to raise your children in the way of the Lord. Listen and be blessed. Following The Faith Of Those Who Have Obtained: Do you know that the word of God is capable of changing situations? There are men who have by reason of the Word changed impossible situations, circumstances and also wrought mighty wonders. Do you know that our faith is strengthened as we behold the undeniable evidence seen in the word of God? However the word of God we receive is the first step in laying hold of what we believe. 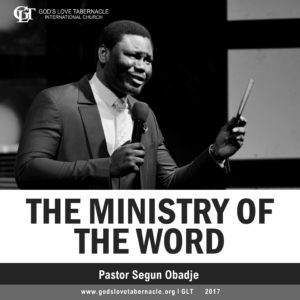 Listen to Pastor Segun Obadje as he brings you God’s word on the steps of producing results through Faith. How To Be Strong In The Grace Of Our Lord Jesus Christ: When we got saved, we came into the life full of the grace of our Lord Jesus Christ. However, it is not just enough to know that we have come into the life full of grace, it is important we take responsibility to be strong in that grace; for our life is not dependent on what people have given to us, but what God has blessed us with. This is where acknowledgment comes in. Acknowledgment means knowledge with action. Having known that you are blessed with all spiritual blessings in heavenly places in Christ Jesus, how do you acknowledge what Christ has blessed you with? How do you take your place in the blessing? 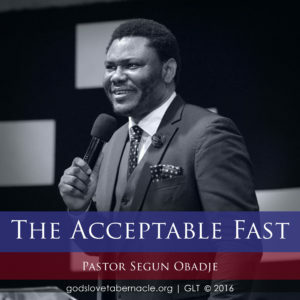 The answers to these questions and more has been carefully explained in this teaching by Pastor Segun Obadje. As you listen, be strong in the grace that you have come into.